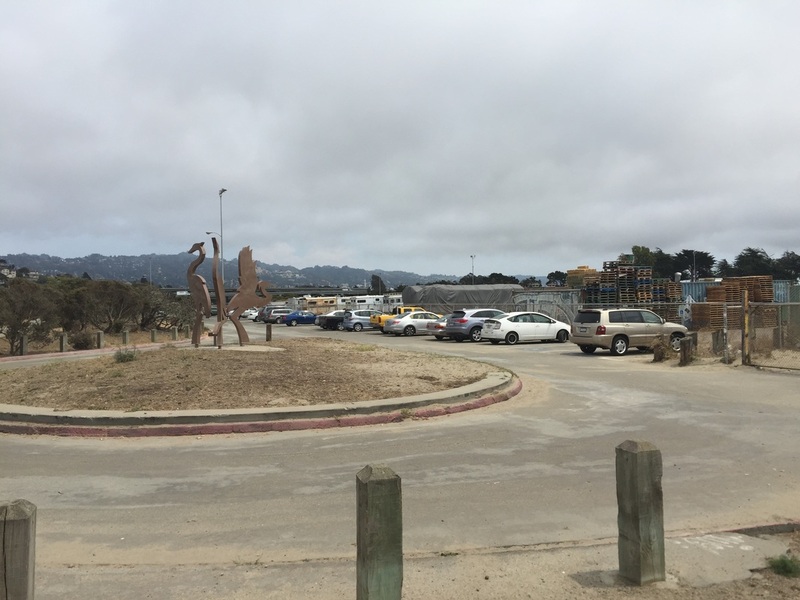 Parking: Free parking lot at address above. 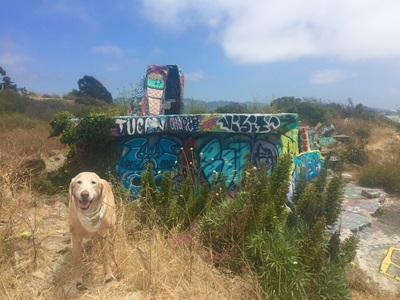 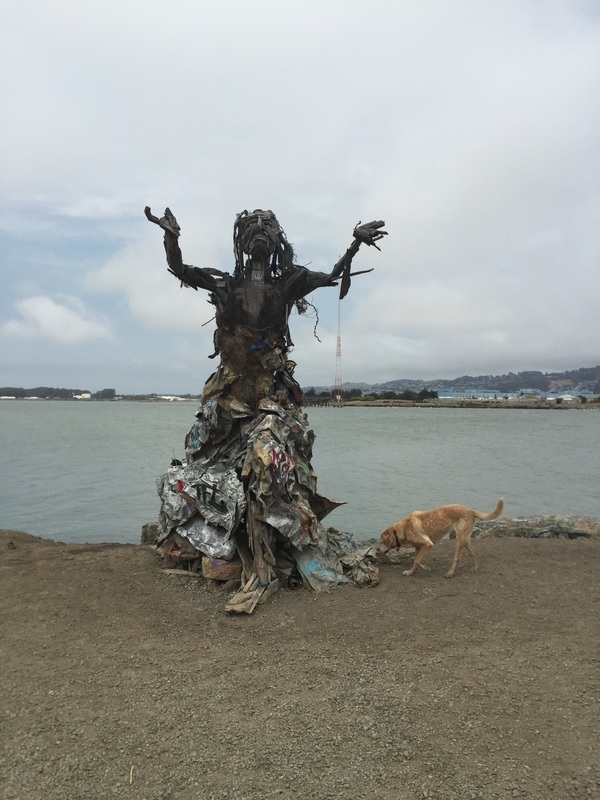 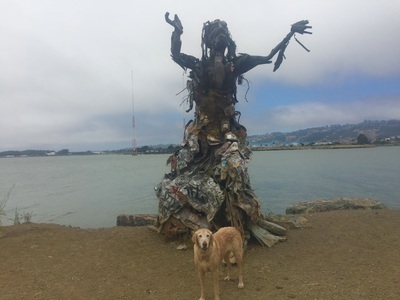 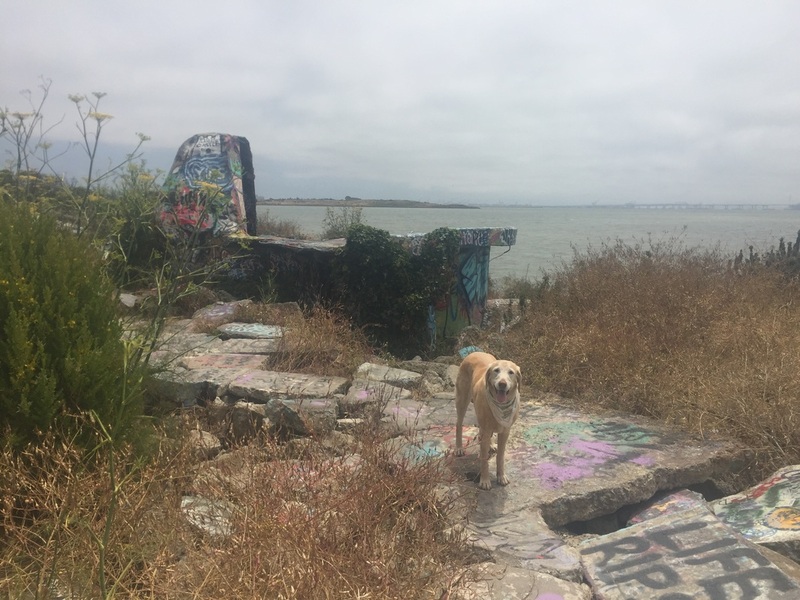 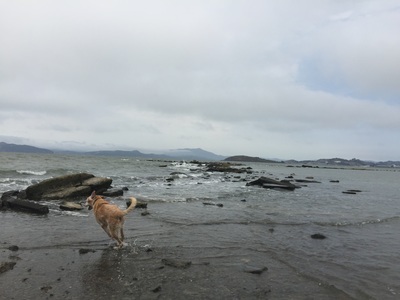 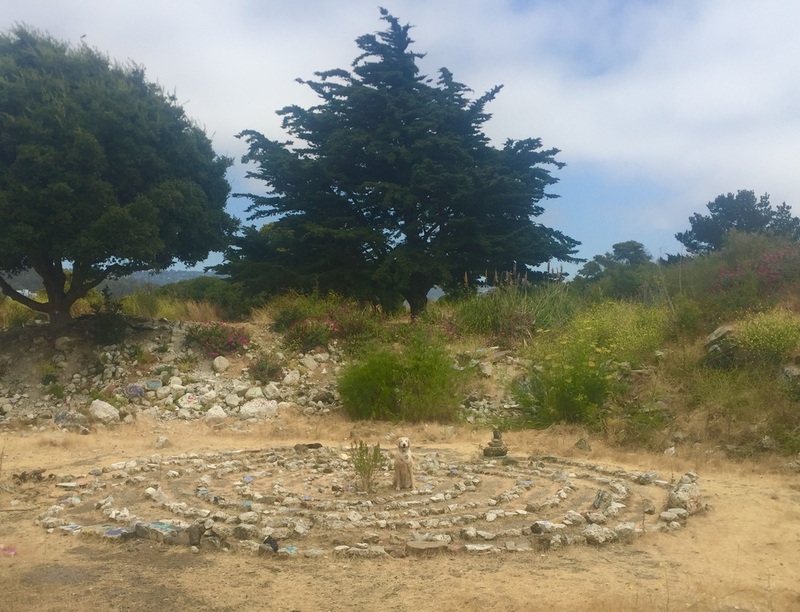 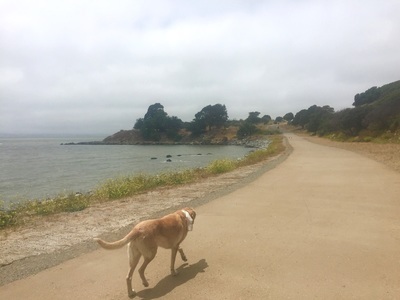 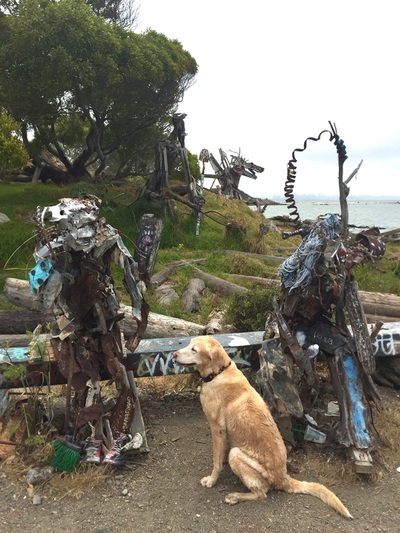 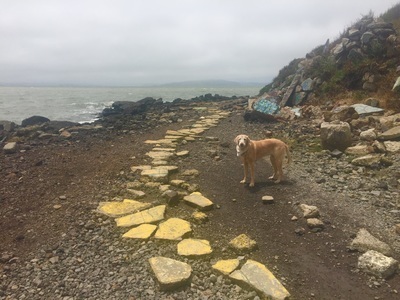 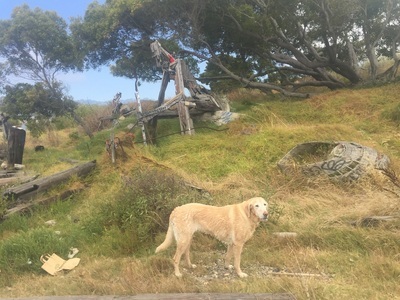 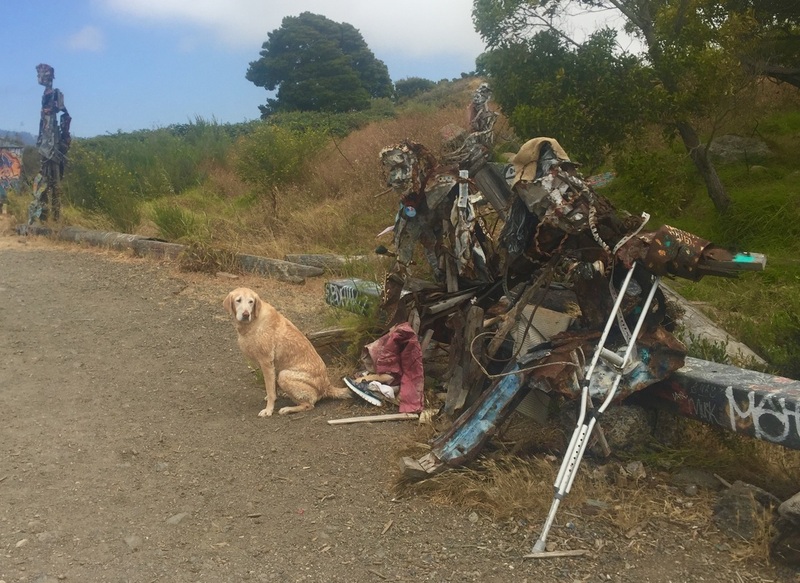 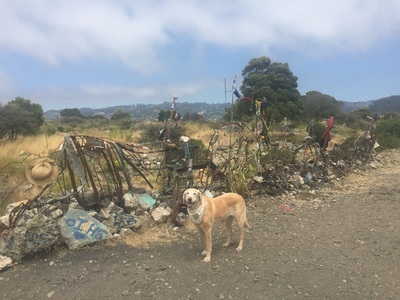 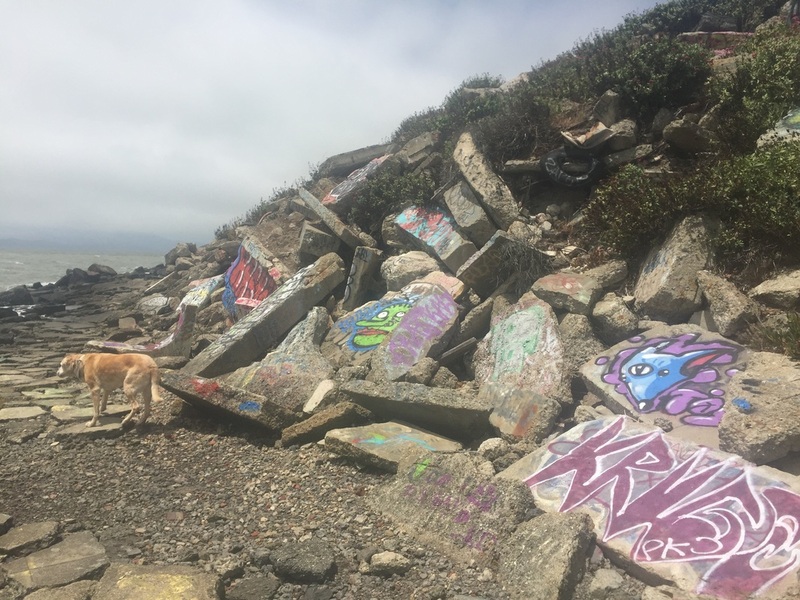 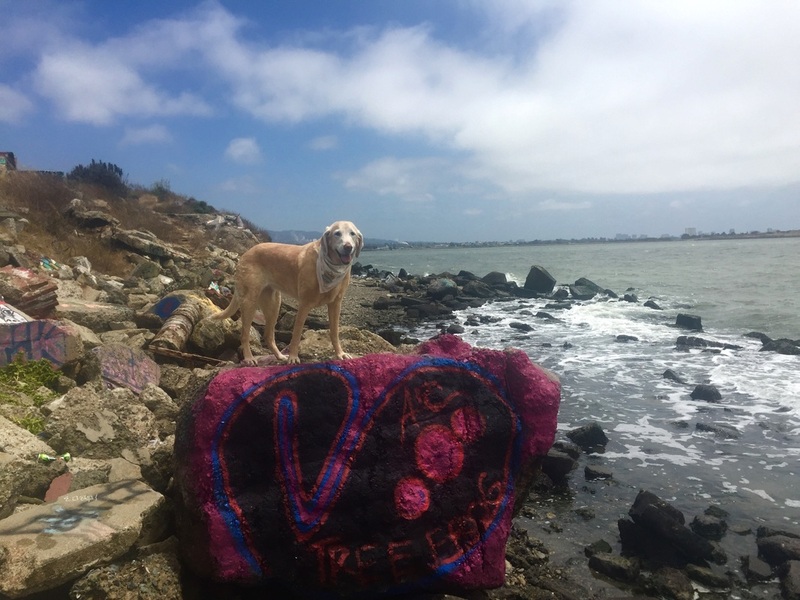 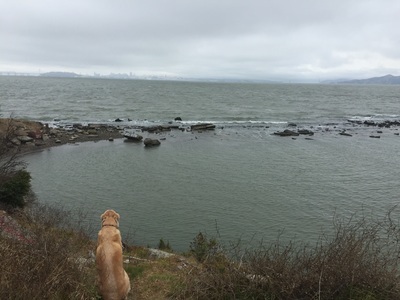 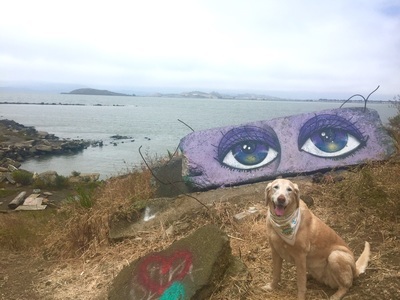 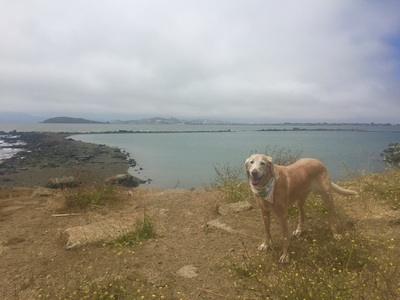 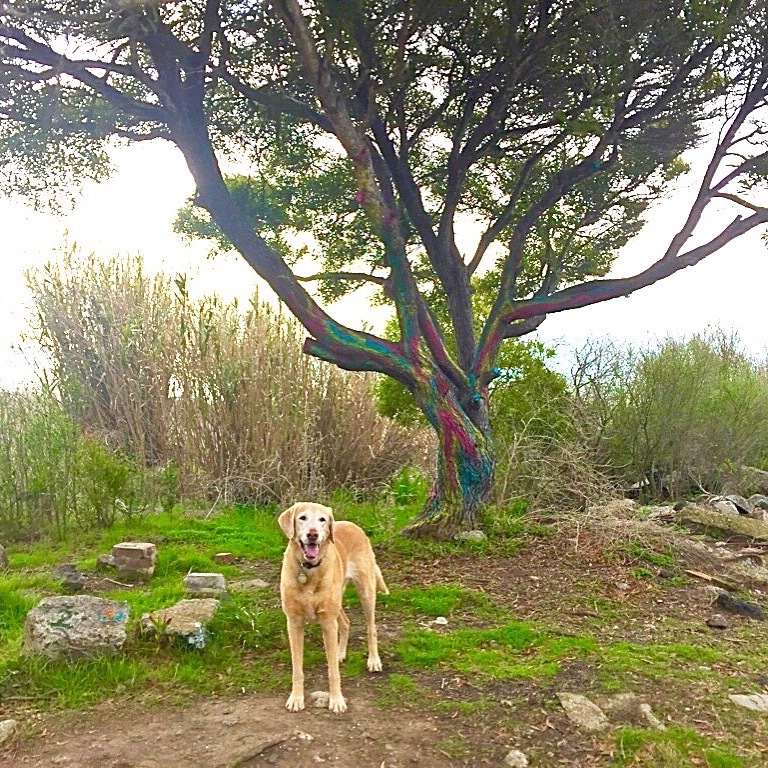 Description: The Albany Bulb is an interesting place, because once you loop around the bulb, you'll encounter some huge eclectic art installations along the water. 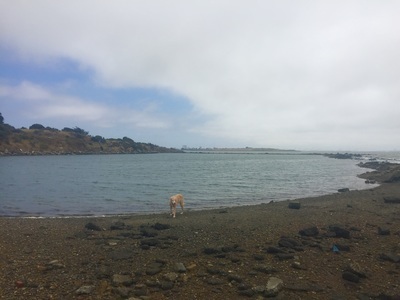 When you first enter, there's a small dog beach on the left (Buchanan Dog Beach). 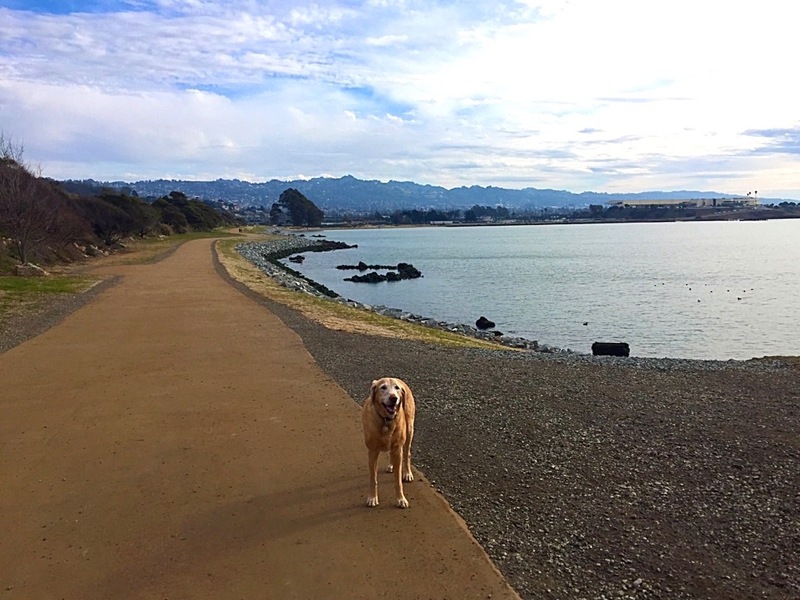 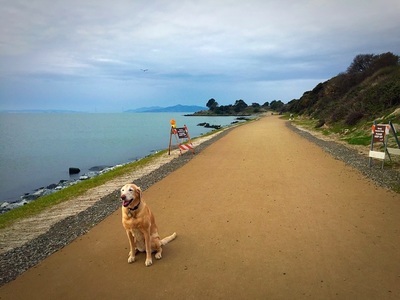 There's a newly paved trail along the water that will loop you around the Bulb. 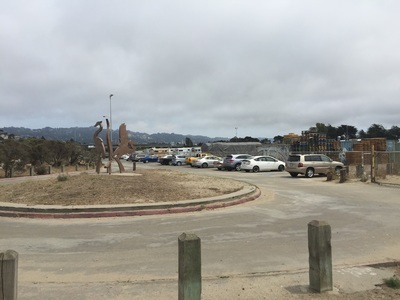 The large dirt/gravel trail in the middle leads directly from the parking lot to the center of the Bulb. 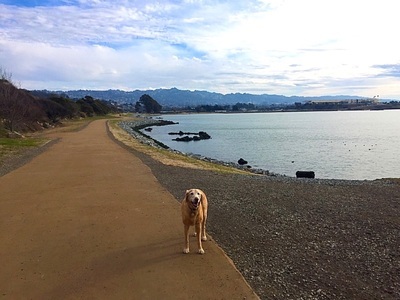 I recommend taking the scenic path along the water. 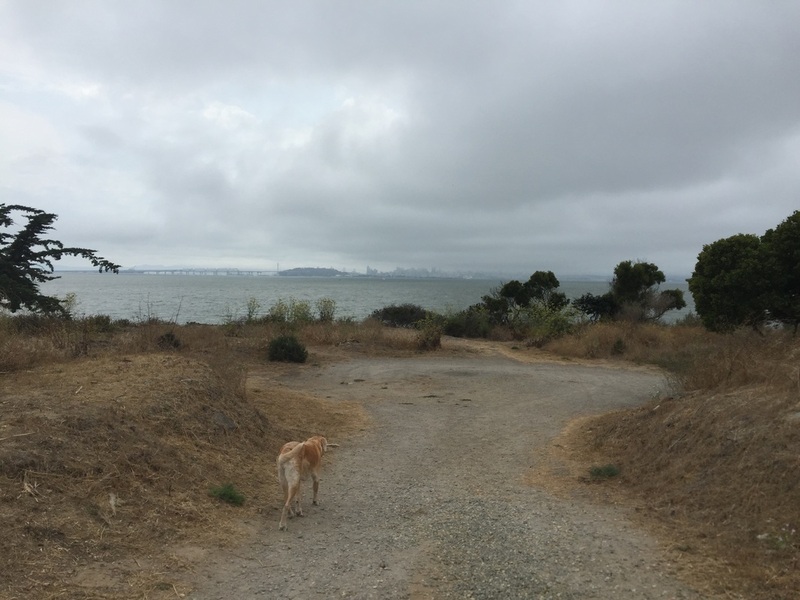 During this walk, you'll see some great views of the bay. When the trail splits, you can continue along the water, view some interesting graffiti concrete, and even walk along a yellow brick road. 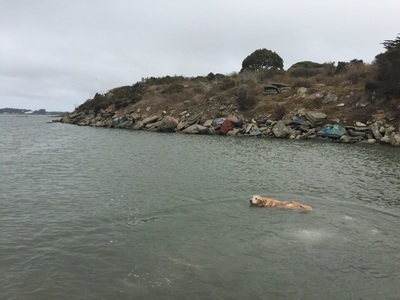 You will eventually reach an inlet that happens to be our favorite swimming spot. This area is mostly cut off from the bay by a half circle of rocks, so it's more like a lake. 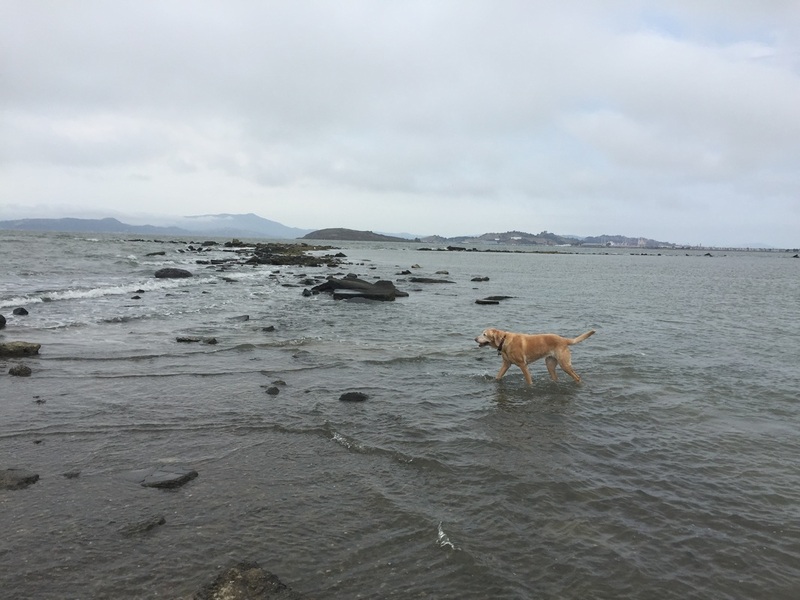 Some water is still able to flow through, but there aren't any harsh waves, and your dog can stay away from the open ocean. 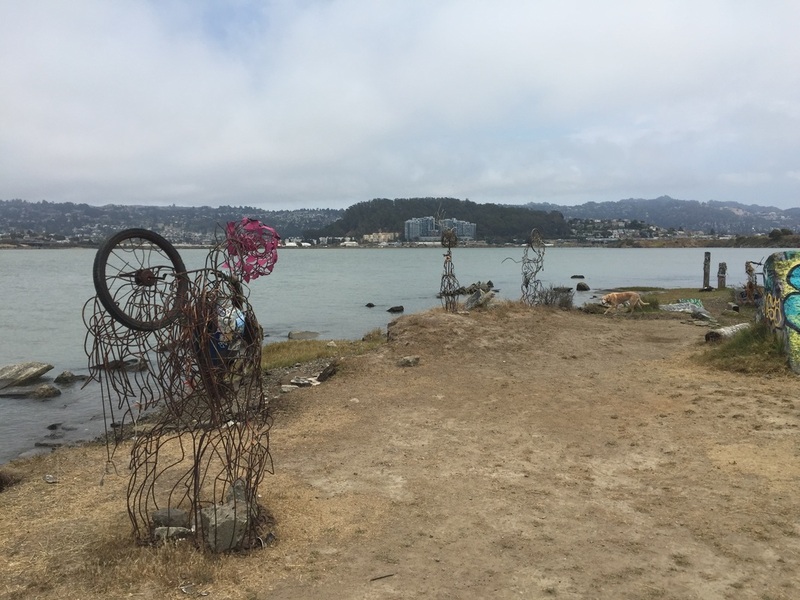 You can continue looping the Bulb to view some large, metal human-like sculptures along the water. If you decide to begin your hike in the center of the Bulb, instead of taking the trail along the water, the main (right) path will take you to the metal figures. If you follow the other path, you can walk down to a "Mad Mark's Castle," a concrete structure covered in interesting artwork. 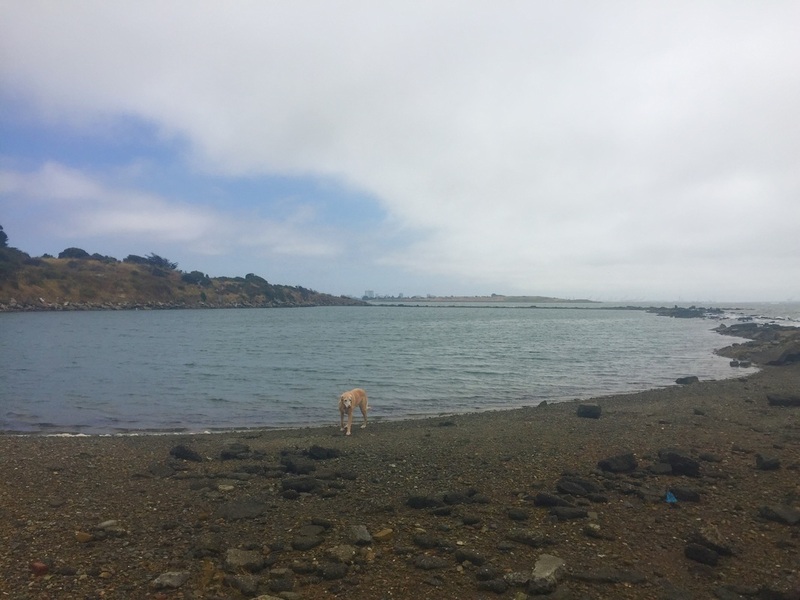 The center of the Bulb has plenty of space for your dog to run off-leash, and there are other areas for your dog to jump into the water near the art installations. After looping around the bulb, exploring the center, and circling back to where you parked you will have walked about 2 miles. 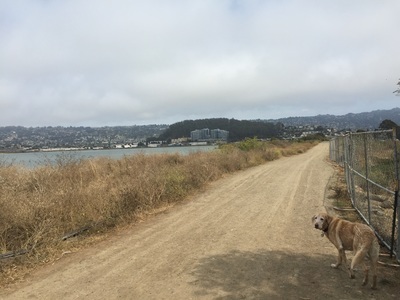 If you still have some energy, you can connect to the Bay Trail and walk as long as you desire. 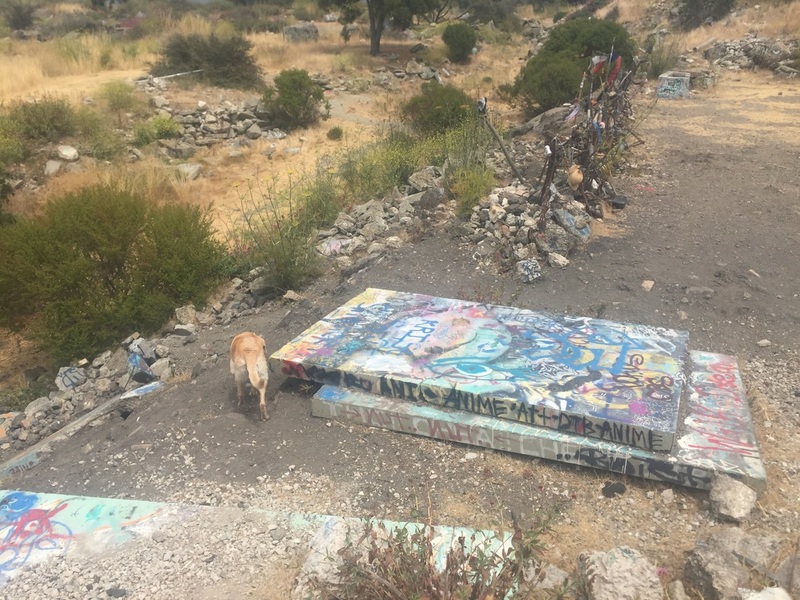 Overall, this was an interesting walk that is definitely worth a visit.